← You Must Remember This? Introduced Beech scale (Cryptococcus fagisugae) is easier to see this time of year on our native American beech (Fagus grandifolia). That’s because of the white waxy coverings the females produce to protect their eggs. Look for tiny tufts of white, cottony-like masses on the main trunk and large branches. Examine trunks and large branches for white, woolly masses. Gently open up the woolly mass and use your hand lens to look for small, yellow brown nymphs with red eyes. You will need a hand lens to see them in detail. See more images on BugFinder. This life stage is sensitive to horticultural oil applications. Although some horticultural oil products are listed as being phytotoxic to beech leaf tissue, a direct trunk application may be appropriate this late in the season. Re-assess beech scale viability about 10-14 days later to determine whether a second application may be necessary. Do not apply horticultural oil at the dormant rate when there is a chance of frost. Some landscapers and arborists will pressure wash beech scale from the trunks this time of year. This simple cultural management practice can really help reduce the number of viable nymphs that would re-infest our beautiful beech next year. 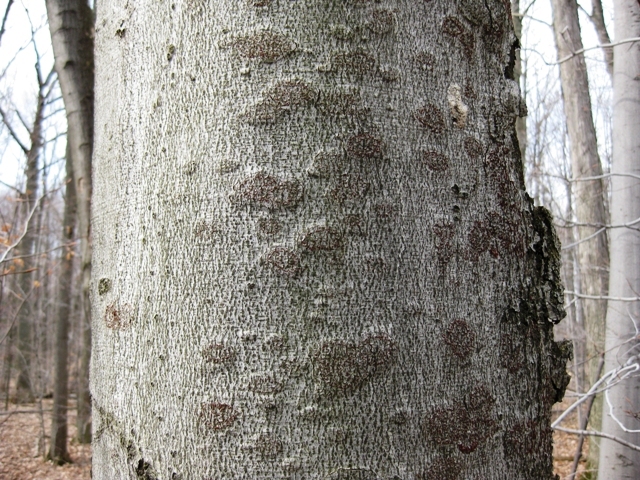 Beech scale is quite often the precursor to Beech Bark Disease (Neonectria faginata and N. ditissima), as this scale insect feeding creates wound sites for the fungal disease to enter (photo above). 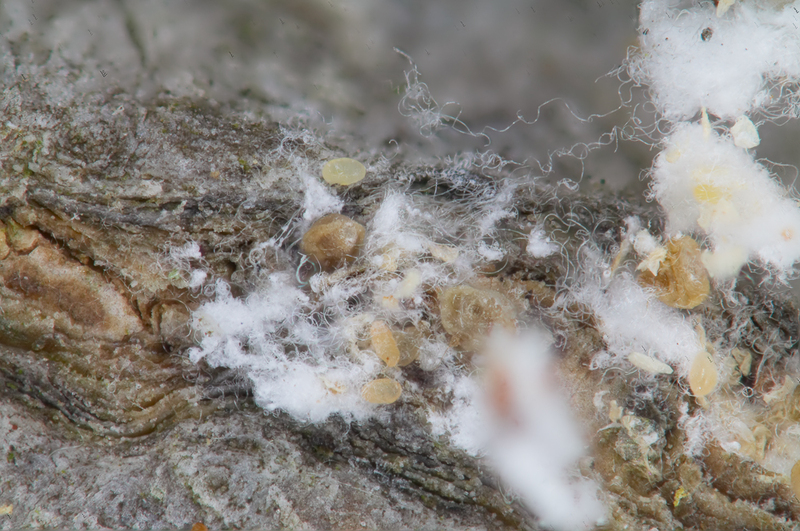 The continuous formation of fungal cankers around the tree trunk eventually girdles the tree, leading to mortality. 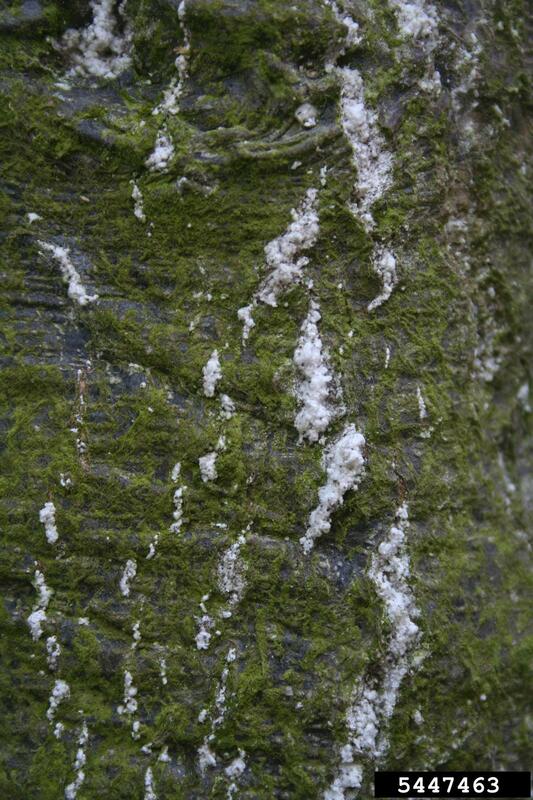 Management of beech scale in the early stages may help suppress beech bark disease. 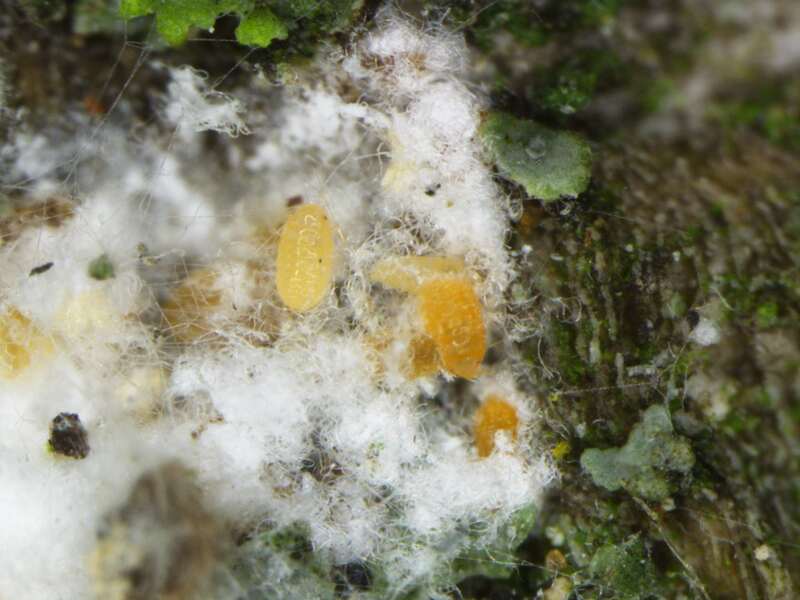 This entry was posted in Arboriculture, Insects, IPM, landscape, Weekly Nursery Landscape Report and tagged beech bark disease, beech scale, bugfinder, Jen Llewellyn. Bookmark the permalink.